"How can we learn to live together?" Cohen Media Group has debuted an official trailer for a documentary titled Spiral, made by director Laura Fairrie (The Battle for Barking). This premiered at DOC NYC and a few other festivals last year, and it's a look at the rise of anti-Semitism and assaults against Jews in France. "With anti-Semitic movements on the rise across Europe, particularly in France, many members of the Jewish community are faced with a difficult choice: stay in France and face down the bigotry that seems to be gaining cultural and social acceptance through popular cultural figures like the comedian Dieudonné, known for his signature inverted Nazi salute, or leave the country to seek refuge in Israel and beyond." This looks like a sad and infuriating examination of the rise of modern anti-Semitism, from a caring filmmaker. Anti-Semitism, Holocaust denial and physical and verbal assaults against Jews are on the rise throughout Europe, particularly in France. In response to rising tensions and fears, many in the Jewish community decide to leave. Others, like lawyer Julien, remain behind to fight back against those who would fan the flames of hate, like popular comedian Dieudonné, known for his signature inverted Nazi salute. Director Laura Fairrie presents an urgent, alarming look at the impact of this free reign of hatred on the lives of ordinary people. Spiral is directed by filmmaker Laura Fairrie, of the other doc The Battle for Barking previously. This first premiered at DOC NYC last year and a few other fests - read a profile on Fairrie here. 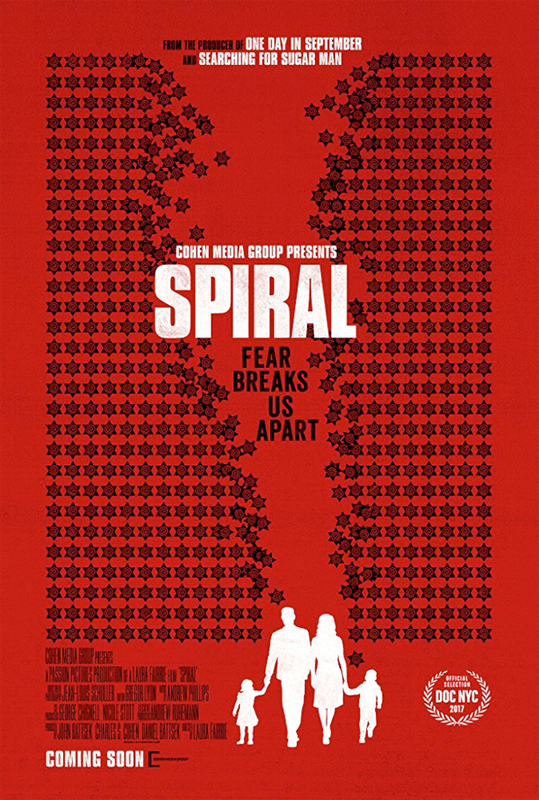 Cohen Media Group will open Spiral in select theaters starting June 22nd this summer. Who's interested?